CraftyRie: My Gift To You! 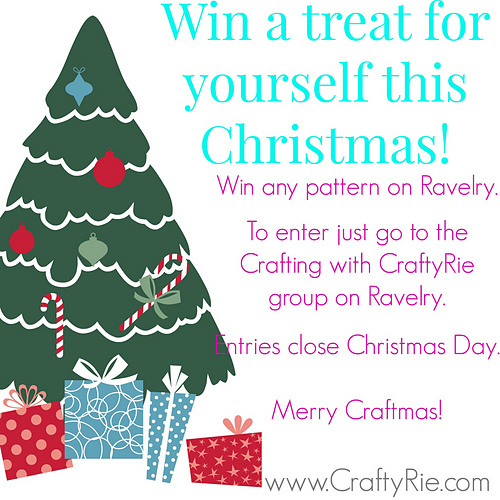 As my gift to you this Christmas, you have the chance to win ANY pattern of YOUR choice on Ravelry. Just head over to my group on Ravelry to enter.